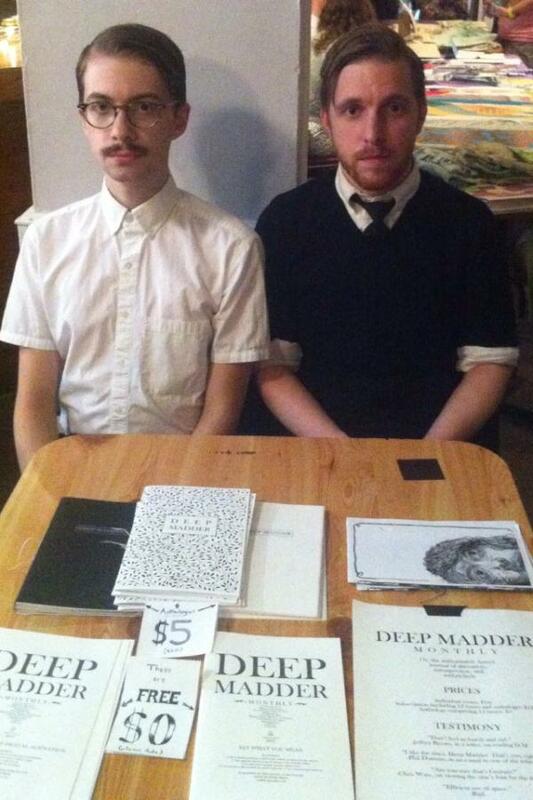 We just finished attending our first Zine Dream and it was surprisingly successful. We sold 12 anthologies (!!) and gave out at least 73 individual issues. Two people even bought all three anthologies, and one of them asked for us to sign them. Plus, one person took a photograph of us at our table, and another took a photograph of our little sign of testimony. What a strange day.